Liri wedding tents are very flexible. In a Liri wedding marquee tent, anything is possible: long, square, romantic, classical and themed. We have a wide range of marquee tent accessories and ancillary equipments to tailor a marquee interior to suit your wedding. As a manufacturer, we’ve been committed to providing quality wedding tents and marquees at best prices. 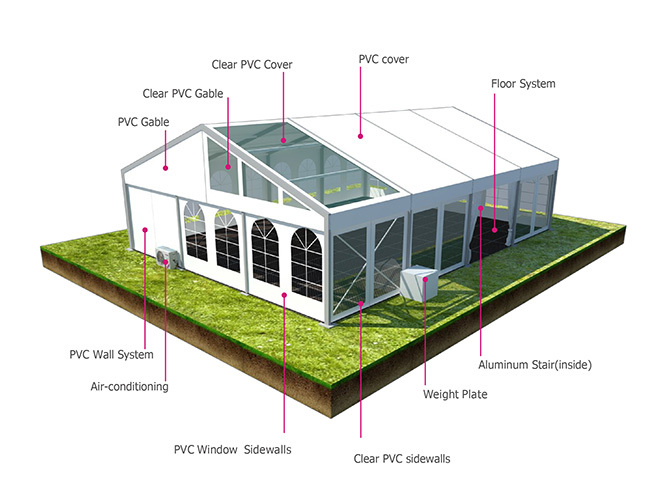 We provide a comprehensive manufacturing and selling service for all types of wedding tents and marquees. The New Party Tent series is much stronger than the old design party tent. The sizes available are 6m, 9m, 12m, and 15m and the side heights come in 2.6m. The bay distance is 3m and the upright supports and roof beams are all made out of 100x48x3mm four channel reinforced aluminum alloy. There are many optional accessories available. These include floorings, glass walls, ABS walls, double wing glass door, and so on. There are two main differences between the New Party Tent and the Party Tent. 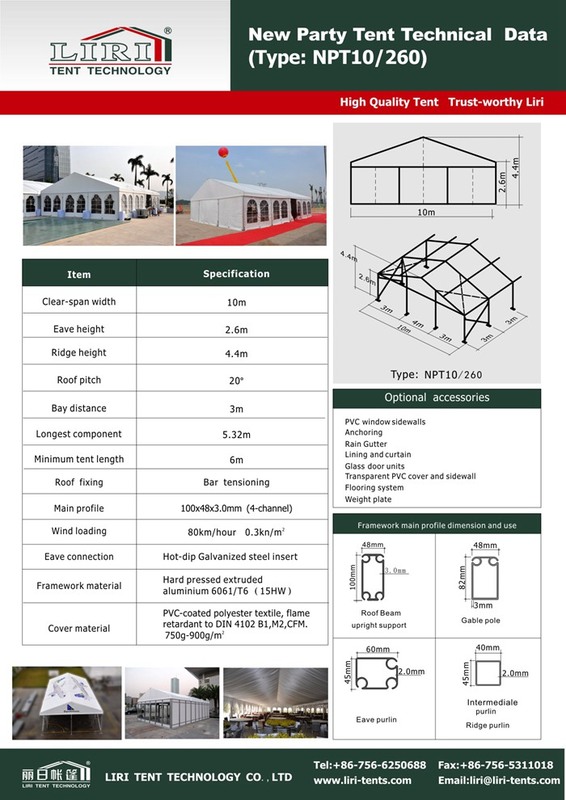 New Party Tents for sale For More Information Please Contact Us!